Here's all the key info you need on Madden 19, including all the details we've uncovered on Ultimate Team, Franchise mode, and most important of all, the Madden 19 release date. Madden 19 is out now worldwide, and this iteration of EA's football sim in also available on PC, aside from PS4 and Xbox One. In this Madden 19 everything we know guide, we'll be detailing everything you need to know heading into this year's version of the game, as well as providing you with a full Madden 19 review roundup, now that multiple publications have had time to delve into the game. We've sunk many hours into Madden 19 by now here at USgamer, and we've experienced everything that the new iteration of the game has to offer. If you want to read our full impressions of the game after many hours spent with it, head over to our Madden 19 review. Want to see what everyone else makes of Madden 19 so far? Check out the complete review roundup for the game just below. USgamer (3.5/5) - "Madden 19 is a solid, if occasionally ragged, follow-up to last year's big transition to Frostbite. The improvements to the animation and franchise mode stand out, but Longshot: Homecoming feels like a step back from last year's ambitious introduction." IGN (8.9/10) - "Madden NFL 19 finds a new foundation for football gameplay on the back of its feel-good player handling." GameSpot (8/10) - "Madden 19 is an excellent football game that improves on last year's entry in almost every way. There are problems, but there has never been a football game that more authentically represents the NFL than this in terms of presentation, controls, and depth." PCgamer (75/100) - "Madden 19 offers a fascinating single-player story, but the rest of the game largely falls into the same tropes you experienced a decade ago." If you've just picked up your copy of Madden 19, you can check out the complete list of in depth guides on the game just below. 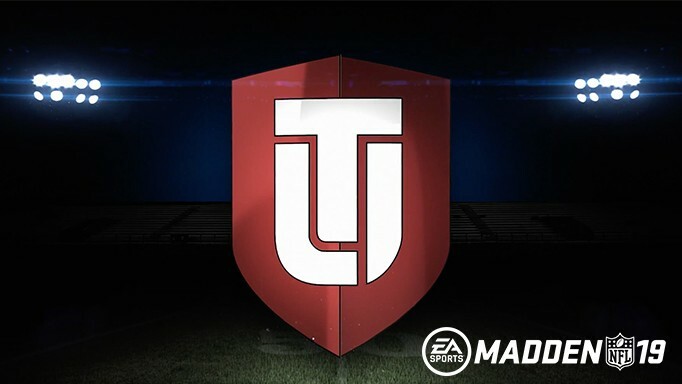 We've got guides on how to get going with Ultimate Team, the best offensive and defensive playbooks in the game, and much more. Earlier this year, EA revealed that Madden 19 will release on August 10, so you can now get your hands on the standard edition of the game. However if you're willing to pay a little extra for the Madden 19 Hall of Fame edition with Terrell Owens on the cover, you could begin playing the game from back on August 7. Madden 19 is always available early through the EA Access scheme for Xbox players, and this year it was also be available on Origin Access, since the game is also coming to the PC. 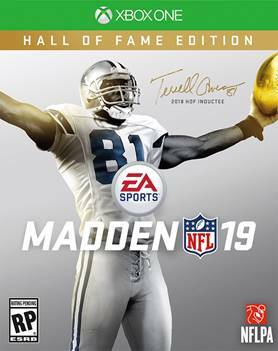 As we mentioned previously, the Madden 19 Hall of Fame edition features Terrell Owens on the cover. This edition is going to set you back $79.99 as we stated above, but it'll grant you various bonuses when Madden 19 launches, including the ability to play it ahead of the final release, on August 7. The Madden 19 Hall of Fame box cover can be seen just above, featuring Owens. However this is purely for the 20th Anniversary Edition, the upgraded edition of the base game that'll let you play early. 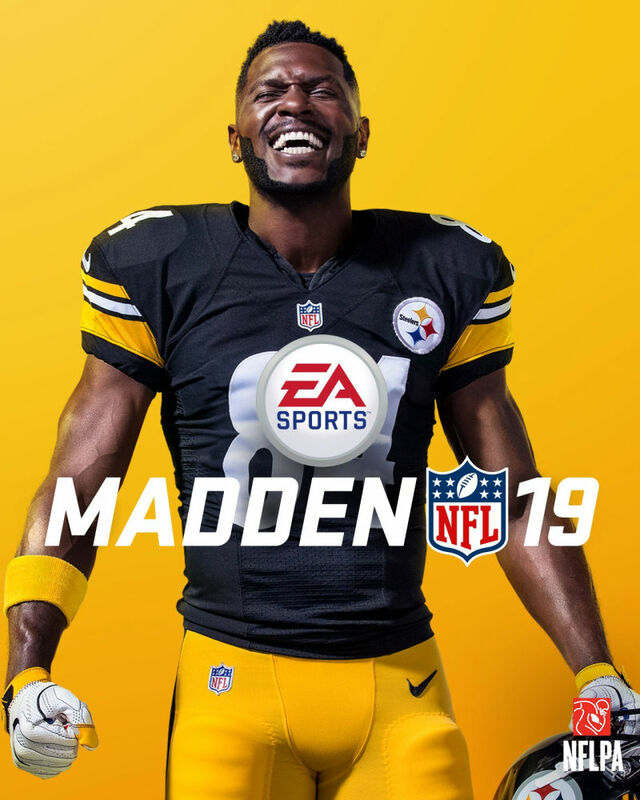 Later on in July, it was revealed that Antonio Brown will be gracing the cover of the standard edition of Madden 19 in August. Check out the full cover of the Madden 19 standard edition just below, featuring the 99 overall-rated Brown. All in all, these PC specs for Madden 19 aren't too demanding. It's a welcome bonus that not only is Madden making a return to the PC with Madden 19, but plenty of players should be able to get it to run smoothly on their PCs. Which Platforms is Madden 19 Coming to? Madden 19 launched the PS4, PC, and Xbox One later this year in August. There's no surprise that last gen consoles aren't present on the release list, but this is the first time that a modern Madden game will be coming to the PC. 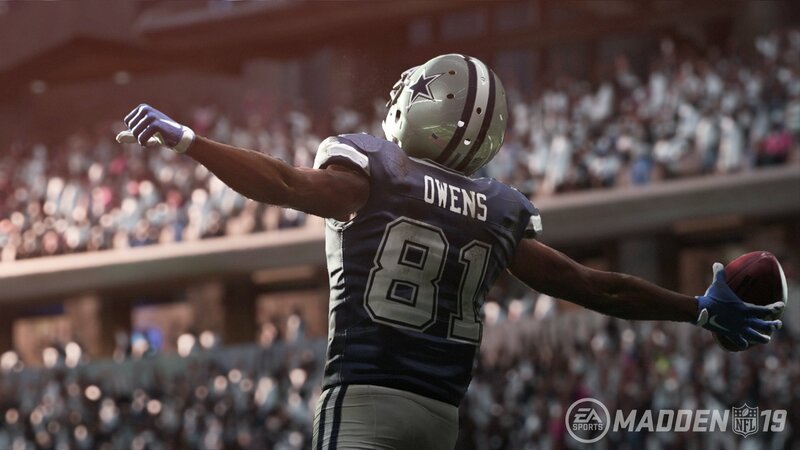 According to EA, Madden 19 will deliver "more game-changing control to players than ever before". This is in part due to new Real Play Motion Technology, which is said to provide a new higher degree of responsiveness and player personality.EA is also promising "more authentic ways to build an NFL roster" and "the ability to train and develop players". "We’ve worked directly with community members on Madden NFL 19 to make a deeper, more immersive football game that gives players what they want - more choice, more control, and key enhancements to fan-favorite modes," say Carlos Guerrero, Sr. Producer on Madden NFL 19. "Real Player Motion technology combined with all new franchise-building tools like Positional Archetypes and the return of Custom Draft Classes are features that football fans will find fun and engaging. Madden NFL 19 steps up the authentic football experience in so many ways." 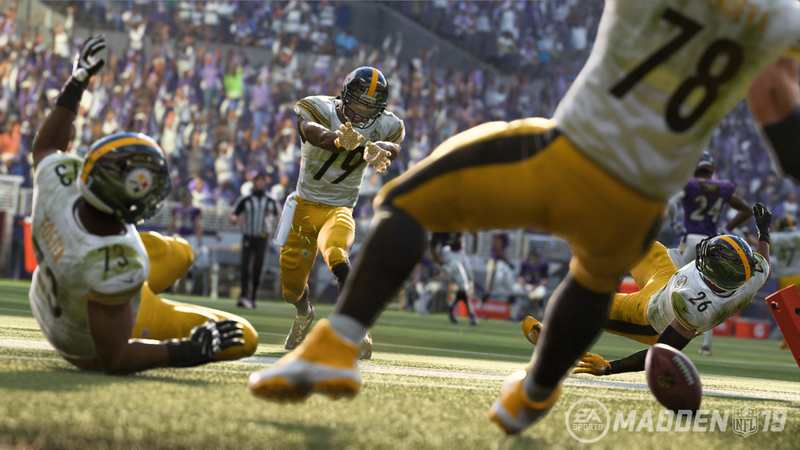 EA is always making subtle tweaks and changes to Madden with each passing year, and this year is no different. Check out the list just below, for a complete walkthrough of the new changes arriving within Madden 19. Custom Drafts in Franchise Mode - We'll expand upon this further down, but you can now create, share, and customize your own drafts in Franchise Mode. Zone Coverage AI - If you're one of the Madden players that thinks zone coverage in the game has been lacking for the past few years, then we've got good news. 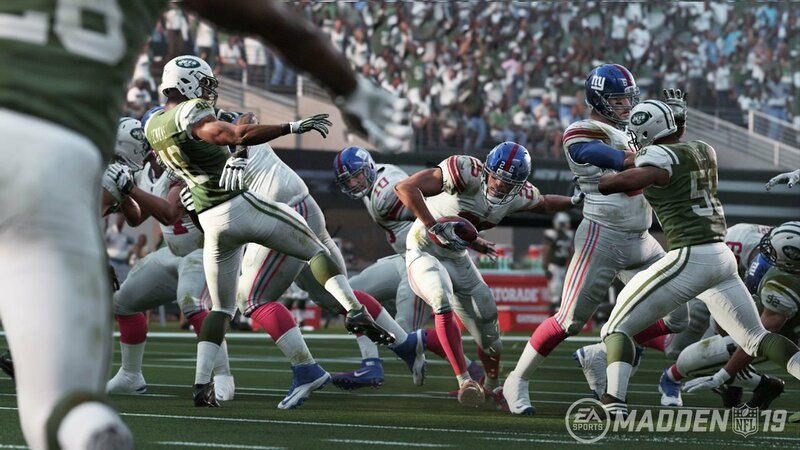 EA has revealed that player AI will be getting some form of upgrade when playing zone coverage on defense. 'One Cut' - A bit like the 'true step' feature that was introduced in Madden a few years back, this new feature is set to give players a more realistic step, letting them cut up and dart around the field. 'Hit the Home' - This new feature sounds like it'll let player AI find gaps in the defense more easily, and run through holes. 'Push the Pile' - A new feature that looks set to be geared towards contact at the line of scrimmage, this should help you gain critical yards in tight situations. Franchise mode is returning to Madden 19, and will allow players to choose the offensive and defensive schemes that fit their style, in single-player or multiplayer seasons. These schemes, EA states, are linked to a new progression system based on authentic positional archetypes, letting you try to build for the future or achieve success quickly. This is a complete list of information we have on Madden 19 right now. Be sure to check back on this guide on the future though, as we'll be continually updating it whenever new information is announced by EA.